When the Enterprise Systems Upgrade Program plans to go live in April 2015*, many employees' processes will be streamlined, including those for around 700 Journal Entry preparers and approvers working in the General Ledger module of the financial system. The changes coming to the General Ledger will not be drastic but they will be welcome. For those authorized to use spreadsheet upload, being able to directly import Journal Entries from the spreadsheet template (versus requiring navigation in PeopleSoft). An option for Journal Entry preparers to create and use shortcut alpha-numeric codes that represent a chartstring to facilitate faster journal line entry. These codes are called SpeedTypes. According to Molly Koewler, a business analyst on the EFS Module Support Team, “Improvements will save the GL preparers time when entering GL journals, and will be especially welcome for those that prepare frequent journal entries.” Overall, the changes will streamline processes across the Finance workstream and will maximize efficiency. 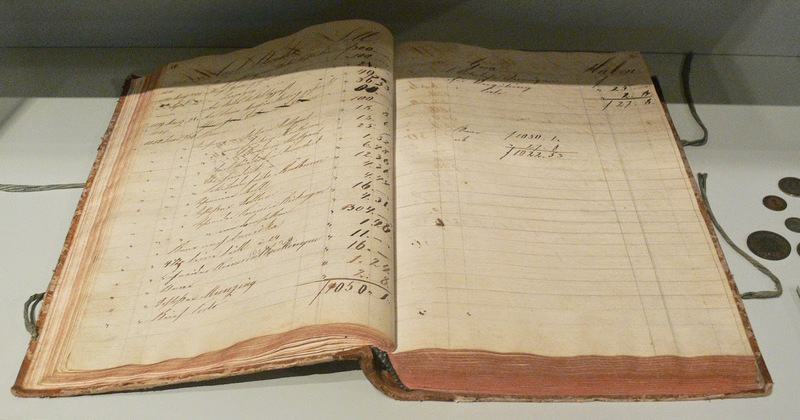 The General Ledger is a summary of all the University's budgeting and financial transactions. Below are the coming changes, in summary, for General Ledger. Approval actions will be standardized across all transaction types. In the 8.9 version of PeopleSoft Financials, each transaction type has different actions available and they can be confusing. Departments will have the ability to move from a single alternate approver to a pool of alternates for Journal Entries that require approvals. In the 8.9 version, there is only one primary and one alternate approver. Approval WorkCenter will reduce the need for complex navigation and bring all types of approvals to one place. In the 8.9 version, primary and alternate approvers may have to navigate to the same activity via different paths, and there are separate paths for each type of transaction. General Ledger WorkCenter will include components for many common journal entry-related tasks, associated links, queries, and reports/processes. In the 8.9 version, people have to know a wide variety of navigation paths. Import journals via spreadsheet with fewer steps. For those authorized to use spreadsheet upload features, the process to load transactions will be less complicated. SpeedType shortcuts allow a journal preparer to add, create, change alpha-numeric codes that represent chartstrings, reducing entry time. In the 8.9 version, people have to key the sometimes lengthy ChartField strings repeatedly. The upgrade will provide the ability to create shortcuts for data entry on Journal Entries. T-Accounts allow preparers to see effects each journal has on the balance for a chartstring, reducing the potential for errors. Today, if a Journal Entry is made that doesn’t have the intended impact, it can sometimes be difficult to correct. This new feature will allow people to check their work before submitting the entry for processing, which is especially helpful for large entries or for those less-experienced in accounting. Attach supporting documents feature available on journal header page. Documentation may be uploaded/attached to the Journal Entry for reference. Chartfield Request functionality within EFS to replace BPEL. This enables requests for ChartField values to be submitted through approval workflow and, if approved, will automatically update within EFS. The current BPEL tool has a number of areas where it performs in a manner that is less than ideal, for example, once approved, the information has to be manually keyed into PeopleSoft. Combo code edit error messages across all modules are more indicative of the error. Within the restrictions on length of message, we’ve re-done the error codes, and perhaps more importantly, we’ve published what the error messages mean. Unit finance leaders may update approval assignments themselves using ChartField Request functionality. In the 8.9 version, each change must be done by a central employee with workflow administration access. HR Entity and ZDeptID values have been synchronized. Prior to the upgrade, there were two separate values representing rollups of departments, making reporting on combinations of HR and Financial data difficult.